The New York Film Academy's Visual Arts School offers a unique curriculum led by industry professionals with one goal in mind—providing our students with a truly twenty-first century education. At the New York Film Academy we recognize that the key to succeeding in a competitive industry is building a complete, holistic skill set. Rather than just focusing on the nuts and bolts of your given visual arts discipline, our Visual Arts School's curriculum focuses on a mixture of academic, technical, and professional skills. Our goal is for visual arts students to thrive in their chosen field long after they've received their diploma or certification. The central philosophy of the New York Film Academy's Visual Arts School is learning by doing. From the first day on, visual arts students will find themselves behind a canvas, keyboard, or camera, practicing their art and getting hands-on experience building a portfolio or reel that will help them long after they leave the Academy. The visual arts curriculum combines traditional lectures with instructor-supervised workshops to familiarize students with industry-standard equipment and help them bring their individual projects to life. The Visual Arts School at NYFA consists of seven distinct programs: Filmmaking, Photography, Documentary Filmmaking, Cinematography, 3D Animation & Visual Effects, Game Design, and Graphic Design. NYFA's visual arts programs are offered at our New York, Los Angeles, and South Beach campuses. By placing our Visual Arts Schools in the country's preeminent entertainment hubs, we empower students to make professional connections while they study their chosen discipline. Each city offers numerous internship and job opportunities, further complementing the New York Film Academy's commitment to its visual arts school students' success. The New York Film Academy's faculty makes it unique among visual arts schools. Our faculty members are selected not only for their academic credentials, but also for their respective successes in their field. Instructors at the Visual Arts School provide comprehensive instruction and illuminating lectures alongside hands-on workshops. They also offer unique insight into the realities of the different visual arts industries, relating their own personal experience from which students can learn. Film and Documentary Filmmaking students get numerous opportunities to work on film sets and gain experience in a variety of different crew position while working with experienced filmmakers. Our Photography instructors not only help students to best understand the technical and aesthetic demands of the medium, but also encourage students to find their own distinct visual style. Our 3D Animation & Visual Effects students learn not only how to use industry-standard equipment like Maya, but also gain an understanding of how to structure and deliver a compelling narrative. Students enrolling in our Game Design School get the opportunity to work with faculty that has decades of combined experience in creating original video games in a variety of styles, providing students with the most well-rounded education possible. Graphic Design students are able to work one-on-one with industry professionals who can educate students in the professional realities of the field. Simply put, the Academy's Visual Arts School offers many ways for students to realize their educational and personal visual arts goals. Technological advances have made photography an increasingly complex and competitive industry. Our Visual Art School's photography program aim to not only help students hone their artistic craft and personal style, but also to develop the technical skills required to succeed in an increasingly technological industry. Additionally, the truth is that artistic skill alone is not enough to succeed in photography. Photographers need to be savvy in business as well as be talented artists—at the New York Film Academy we instill students with the artistic and business skills they need to manage their careers. The Visual Arts School at NYFA offers a wide variety of photography degree programs, year-long conservatories, and short-term workshops that cater to students' unique needs. 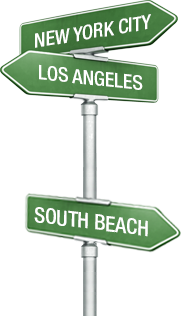 In addition, students have the option to complete a one-year program at our New York City campus and apply to transfer their credit for second-year to a degree program at our Los Angeles or South Beach campuses. Master of Fine Arts (MFA) in Photography: Offered at our Los Angeles and South Beach campuses, the two-year, four-semester MFA program in photography immerses students in all facets of photography. Students learn to shoot on both digital and film cameras in addition to shooting video and gaining mastery over Adobe Photoshop and Lightroom. Graduates of the program not only leave with a comprehensive understanding of the history and genres of photography, but also how to succeed as a professional photographer. Bachelor of Fine Arts (BFA) in Photography: Students at our Los Angeles and South Beach campuses spend three or four years—depending on whether they take summer breaks—studying the many facets of photography. They also receive a foundation in the liberal arts and sciences. Upon completing their photography BFA program, students will be equipped with the knowledge and portfolio to help them realize their professional goals. One-Year Conservatory Photography Program: Offered at our Los Angeles, New York City, and South Beach locations, students spend a year intensively learning the craft of photography. The program is focused on preparing aspiring photographers for the current demands of the industry, which includes understanding the nuances of film and digital photography while also gaining expertise in digital imaging and high-definition video. Two-Year Conservatory Photography Program: Students looking to study photography extensively in New York City will find our two-year program an ideal fit. A combination of hands-on education and practice with in-class lectures focusing both on the techniques of photography as well as its extensive history, students in this program graduate with a working knowledge of how to shoot in many different styles on-demand, preparing them for a career in photography. Short-Term Workshops: For students interested in photography, but uncertain if they want to make a year-long commitment, our Visual Arts School offers full-time four-week and eight-week workshops along with a twelve-week evening workshop for students unable to make a full-time commitment. Our photography workshops are perfect for students looking to gain a foundation in photography before deciding if they wish to study it more extensively. As video games have become one of the most popular and lucrative forms of entertainment, our Visual Arts School has created a trio of degree programs at our LA campus in addition to a one-year conservatory program at both our LA and NYC campuses to best prepare students to understand and master the many roles involved in game design and development. Across all of the game design programs, students take our Game Studio course in which they work in teams to create a fully realized game concept. In addition, game design visual arts students are paired with professional programmers to facilitate the realization of their original video game concept. Master of Fine Arts (MFA) in Game Design: Over the course of two years at our Los Angeles campus, motivated game designers and storytellers are taught the methods and know-how necessary to find success in their selected niche of the video game industry. Through a combination of in-class lectures and supervised workshops, students learn the history of games—from board games to modern video games—to best understand how to execute a story from an initial idea all the way through development across a variety of platforms. Bachelor of Fine Arts (BFA) in Game Design: An eight-semester degree program offered at our Los Angeles campus, our bachelor's game design program instills students with an introductory education to every aspect of video game writing and design. Additionally, throughout their time studying game design at the visual arts school, students will establish a working knowledge of the art, technology, design, storytelling, and business of video game design. Students also take a wide range of courses in the liberal arts and sciences that will supplement their game design and development studies, focusing on communication and deductive reasoning, two skills that will aid students in the world of game design or any other career they might pursue. Associate of Fine Arts (AFA) in Game Design: For students that know they want to enter the video game industry, our AFA degree program is a perfect way for aspiring game designers to dive headfirst into an intensive two-year program that will best prepare students to achieve their professional goals. Over the course of four semesters, students get a comprehensive education in game design and development, including training in Playcentric Design™, Agile development, Programming for Non-Programmers, and an introduction to the principles of storytelling. Students are able to work with top-tier companies and obtain internships and externships as part of the program. One-Year Conservatory in Game Design: Offered at both our Los Angeles and New York City campuses, this intensive one-year program prepares students to enter the video game design job market. Over the course of a year, students take eight game design classes, work in a game development studio, and even learn improvisational acting to develop impressive portfolios of original games. Furthermore, students become familiar with Agile software development methods, which are standard across the game design and software industry. While computer animation and visual effects have a long history in the entertainment industry, the need for 3D animation and computer VFX professionals has exploded over the past two decades. It has become so ubiquitous that viewers now rarely see a movie, television show, cartoon, or much else that does not incorporate some element of 3D animation. With more opportunities for individuals interested in getting involved in 3D animation that ever before, NYFA's Visual Arts School offers world-class programs and short-term workshops to train the next generation of 3D animators. Whether a visual arts student chooses to enroll in a short-term workshop or longer program, he or she can expect to obtain working knowledge of the industry-standard tools, such as Maya and ZBrush and complete an original animated project. Bachelor of Fine Arts (BFA) in 3D Animation & Visual Effects: Offered at NYFA's Los Angeles campus, this eight-semester degree program focuses on training aspiring 3D animators and VFX artists in every facet of the medium. The primary goals of the program are to prepare students for intense working conditions, give them the know-how that they can directly apply to the current professional field by learning the most up-to-date 3D technology and software, and fully understand the workflow and pipeline of 3D animation and visual effects. Student's enrolled in the BFA program will divide their time between learning visual effects and 3D animation and taking more general liberal arts and science courses. These supplementary courses are the backbone of any liberal arts education, and will instill students with the basic analytical skills they need to succeed in any field. One-Year Conservatory in 3D Animation & Visual Effects: For aspiring 3D animators looking to get a strong foundation in the essentials of the medium, our one-year conservatory program offers an unparalleled introduction in the essentials of 3D animation theory and technology. Offered at both our Los Angeles and New York City campuses, students receive comprehensive training in the industry-standard 3D animation program Maya. This program is ideal for preparing students to work in animation, film, video game design, and interactive and commercial businesses. Short-Term Workshops: Ideal for students with little to no experience with 3D animation and visual effects, the Visual Arts School offers 3-Week and 4-Week 3D Animation Workshops. In a short period of time, students live, breathe, and practice 3D animation and visual effects with the end goal of completing their own original 3D animated film. Additionally, students interested in virtual reality also are able to enroll in NYFA's Eight-Week Interactive VR Workshop held at the Academy's New York campus. In today's market graphic design is integrated into almost every type of company. Whether it's logo design, branded marketing materials, or website redesign, every company eventually finds itself in need or a professional designer. The ubiquitous need for graphic design serves to make it one of the most in-demand careers around. The graphic design program at the New York Film Academy provides students with the professional expertise needed to stand out in a crowded and vibrant market, giving students the latitude to work in a variety of industries and positions. Bachelor of Fine Arts in Graphic Design: Offered at NYFA's Los Angeles campus, the program is spread over the course of eight intensive semesters, students can choose to complete this full-time undergraduate degree program in either three years or four, if they choose to take summer breaks. The curriculum is broken down so that students spend two-thirds of their time studying and practicing their skills as graphic designers, with the remaining third dedicated to the study of the Liberal Arts and Sciences. Students research the history of graphic design while obtaining a solid foundation in visual language and learning how to create an engaging visual image using both traditional tools like a pen and ink and more modern tools like Adobe Creative Suite and a pen tablet. One-Year Conservatory in Graphic Design: Divided over two semesters, students enrolling in the conservatory program spend the year fully dedicating themselves to the study and practice of graphic design. Studying under professional graphic designers, students learn how to master both traditional modes of visual expression such as drawing and painting alongside the modern skills required to operate state-of-the-art software and hardware. Cinematographers are the visual poets of the film industry. The cinematographer works with the director to design a visual approach that best translates the words written on the page into a series of compelling shots and sequences. Using light, lenses, and a variety of production and post-production tools, the cinematographers paints the director's vision. Often, it is the powerful imagery created by the cinematographer that touches viewers and stays with them forever. NYFA's Visual Arts School offers an MFA degree program and a One-Year Conservatory Program in Cinematography. Students can choose to complete the one-year program in cinematography at our NYC campus and transfer their credit for second-year standing in the MFA program at our Los Angeles campus. Master of Fine Arts (MFA) in Cinematography: Our curriculum is designed to immerse students in both the technical and artistic demands of shooting films, television shows, and projects for emerging media such as web series. One-Year Conservatory in Cinematography: In this full-time non-degree certificate program, the curriculum is designed to immerse prospective cinematographers in all aspects of the discipline and provides a creative setting in which to challenge, inspire, and develop the talents of aspiring cinematographers. The New York Film Academy offers aspiring filmmakers an unparalleled education in both the fundamentals and advanced facets of filmmaking. The Academy provides students with state-of-the-art facilities and equipment and students in the filmmaking programs and workshops become familiar shooting with a wide variety of cameras and film, including 16mm film, 35mm film, HD, Super 16m, and the RED ONE camera system. In addition, students edit their projects using an industry standard digital editing workstation. Master of Fine Arts (MFA) in Filmmaking: Learn filmmaking in the heart of Hollywood or in Miami's South Beach neighborhood at the Academy's Master of Fine Arts in Filmmaking Program. Over the course of the accelerated two-year program, students gain the extensive filmmaking experience needed to create their own original films. In our intensive graduate program, students receive over 2,000 hours of hands-on instruction and actual production experience through both creating their own films and serving in a wide variety of crew positions on their fellow students' films. Bachelor of Fine Arts (BFA) in Filmmaking: The New York Film Academy's Bachelor of Arts (BFA) in Filmmaking Program is offered at the Los Angeles and South Beach campuses. The program employs a total immersion approach to the subject where students develop a powerful arsenal of skills in directing, screenwriting, cinematography, editing, and producing. This approach ensures that students graduate from the program fully equipped to excel on a film set. Associate of Fine Arts (AFA) in Filmmaking: The Associate of Fine Arts (AFA) Filmmaking degree program allows students to focus exclusively on their professional and artistic development. Unlike a standard undergraduate program, students are able to focus on the field they wish to pursue immediately. It is a stand-alone program rather than a component of a longer bachelor's degree program structured for transfer. One-Year Conservatory in Filmmaking: The Academy's One-Year Filmmaking Program provides students with a one-of-a-kind educational experience in which they are able to dedicate a year to the practice of making films. Over the course of this full-time program, students are immersed in the numerous facets of filmmaking through a combination of in-class instruction, instructor-supervised workshops, and student-led film projects. Two-Year Conservatory in Filmmaking: Constructed as a continuation of the One-Year Filmmaking Program, the Two-Year Filmmaking Program strives to teach the art and craft of filmmaking through a combination of lectures, seminars, and total immersion workshops. The years are strategically broken into phases, with each phase acting as a foundation to the next. Workshops: The Academy offers a wide variety of workshops in filmmaking that allow students to obtain a strong foundation in a short period of time. The workshops are comprehensive, hands-on explorations of the subject that immerse students in each of the key creative roles of making films including directing, screenwriting, cinematography, and editing. As documentary film has exploded in popularity over the past few decades, there are now more platforms than ever for aspiring documentary filmmakers to showcase their work. Whether they take the form of a theatrical feature film, a made-for-television documentary, or a documentary short hosted online, the demand has never been greater for skilled and insightful documentary filmmakers. The Film Academy offers a documentary degree program, conservatory programs, and workshops for students interested in the study of documentary film. Master of Fine Arts (MFA) in Documentary Filmmaking: Our accelerated six-semester, full-time graduate program provides intensive, hands-on training to the next generation of documentary filmmakers. The program is designed to educate talented and committed prospective documentary filmmakers in a hands-on, total immersion professional environment. One-Year Conservatory in Documentary Filmmaking: This is an accelerated, hands-on conservatory program designed to educate students in the study and profession of nonfiction filmmaking. Over the course of the year students will learn the art and technique of visual nonfiction storytelling through in-class instruction, lectures, and hands-on workshops. As the year progresses, students will produce films of increasing complexity and depth. Six-Week Workshop in Documentary Filmmaking: During this six-week workshop, students make four short documentaries and create one series of documentary photographs. Through both study and hands-on practice, students are trained in the fundamental principles, techniques, and craft of documentary filmmaking.